The psychosocial impacts of being a refugee are so widespread, they have reached epidemic proportions. Unfortunately, however, mental health for Syrians and other refugees still fails to receive the same recognition or aid that physical epidemics, such as viral diseases, do. 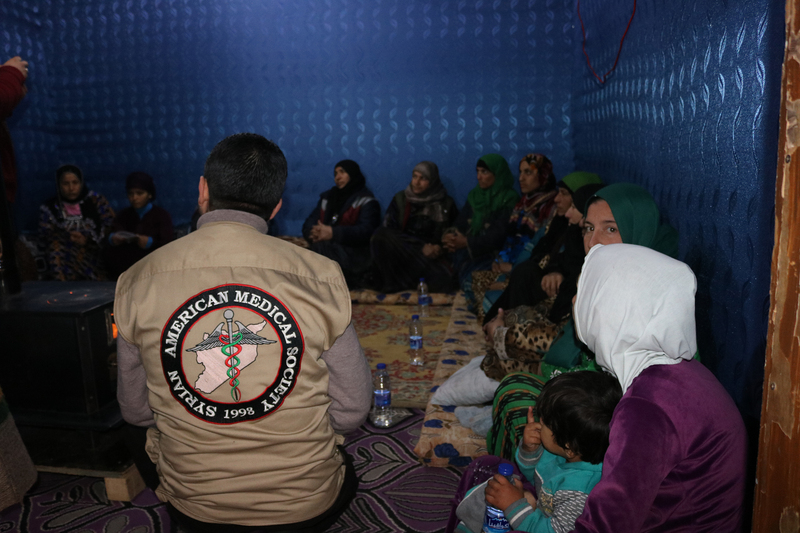 The Syrian American Medical Society (SAMS) is dedicated to providing continued, ongoing care to meet the long-term needs of those affected. 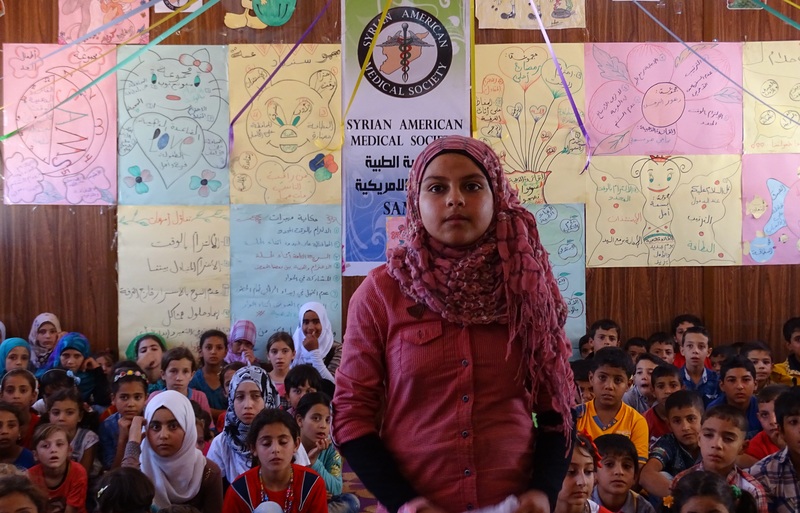 SAMS supports psychosocial programming inside Syria and in neighboring countries that facilitates therapeutic healing strategies and mental wellbeing for those affected by crisis. 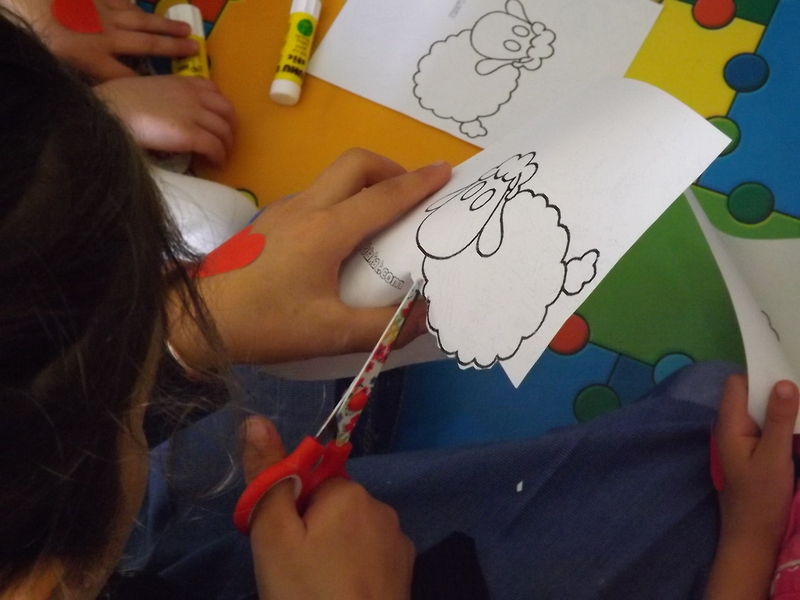 In Lebanon, for example, SAMS supports a psychosocial care program in Beka’a Valley to assist mothers and support healthy child-rearing practices, treat anxiety and speech disorders in children, and address the psychological wounds of victims of human rights violations. Treating mental health symptoms in refugees, internally displaced persons (IDPs) and asylum seekers is complicated by differences in language, culture, ways of coping with trauma and patterns of seeking help. The mere act of relocating can come with a number of different cultural, bureaucratic, developmental and safety-related obstacles that the experience becomes so vastly different for every refugee. Although numbers vary according to country of origin, individual life experience, and host country, refugees are shown to have marginally worse mental health outcomes than the general population in any host country. Studies on the rates of PTSD and major depression in settled refugees range from 10-40% and 5-15%, respectively, further increasing in children and adolescents. For Syrian refugees, however, the numbers on PTSD incidence increase to a range of 36-62% for adults and 41-76% for children. The most telling factors affecting the mental health of a refugee include demographic characteristics (for example, being older, a woman, from a rural area, highly educated were more detrimental than their counterparts) and stressors in their environment after relocation (i.e. living in an institution, having restricted economic/work opportunities, being internally displaced,, having asylum or refugee status rejected, being banned from entering a prospective host country, hearing of a homeland still in conflict, etc.). 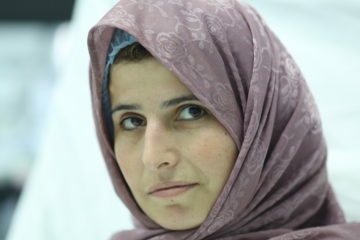 The Syrian crisis itself has had a profound impact on mental health for Syrians, inside Syria and elsewhere. 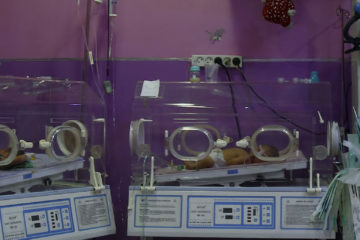 A hospital in Lebanon showed a marked increase in Syrians hospitalized for suicidal ideation and suicidal attempts after the crisis began. Syrian refugees are also shown to have anxiety knowing their home country is still in crisis, hypervigilance about interacting with other people for fear of deportment, and further mental health stress when friends or family are denied refuge in their new country. The dynamic relationship between past traumatic experiences, ongoing daily stressors and the overall disruption of core health and community systems leaves each individual with a unique psychosocial problem that needs to be addressed on the individual, familial and community level. Studies have shown that in the best circumstances, a comprehensive array of programs can be the best way to treat the psychosocial impacts of forced migration. This would include social and psychotherapeutic interventions, generic mental health services, rehabilitation and even specialty programs for particularly vulnerable individuals. However, this is extremely hard to establish, especially in low-income regions where the majority of refugees are located. Currently, the UNHCR and WHO are largely responsible for mental health services for refugees and IDPs, however, with their increasing gaps in funding, mental health programs are nowhere near sufficient. In our recent mental health report, SAMS documented the multi-dimensional nature of mental health disorders afflicting Syrians, including accounts of refugee experiences from Eastern Ghouta, Idlib, and beyond. 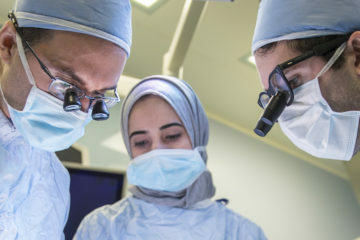 Human Devastation Syndrome, a term coined by SAMS Mental Health Committee Chair, Dr. Mohammad K. Hamza and a central piece of the report, describes the level of suffering Syrians have endured. No other term in the mental health lexicon fully encompasses the devastating mental effects of the Syrian crisis. 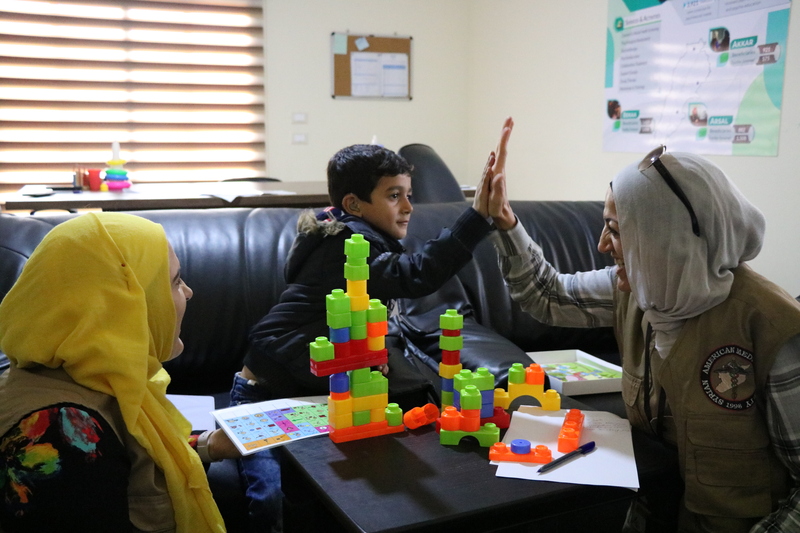 In Lebanon, our psychosocial and mental health services program recently launched a pilot project to promote a holistic approach to physical and mental well-being to refugee health in the Beka’a Valley. SAMS has also received funding from the French government to grow a mental health and psychosocial services program in Turkey. This blog post was written by SAMS Intern, Madeline Rae.